Air Niugini will be upgrading its services to Cairns, Australia and Chuuk and Pohnpei in the Federated States of Micronesia (FSM) to cater for demand during the peak period. Air Niugini Chief Executive Officer, Mr Simon Foo said, ANG will be operating Boeing 737-800 series aircraft instead of the scheduled Fokker 100 and F70 aircraft. “This is to cater for passenger demand during the peak period as there are more seats on the B737, combined with an extra leg room for passenger convenience. There will also be upgraded business class seats on offer for passengers who wish to take those seats.” Mr Foo said. With a B737, there will also be more space to uplift cargo to and from these destinations during the peak period. 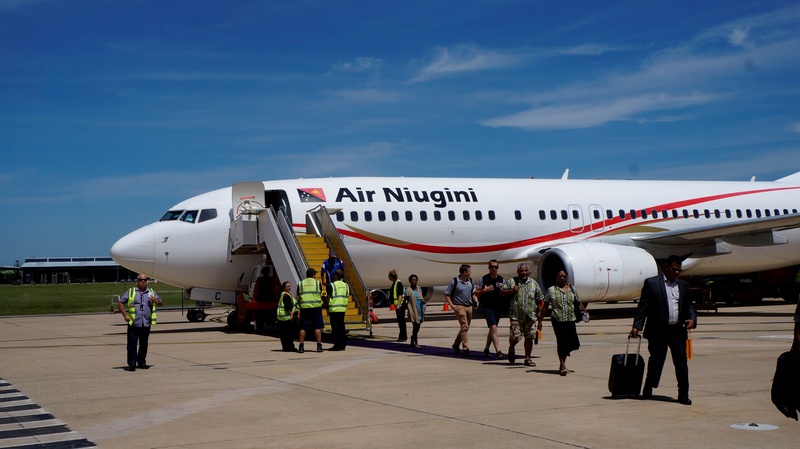 Air Niugini operates weekly flights to Chuuk and Pohnpei whilst twice daily services to Cairns with up to four weekly flights on a B737 aircraft.